We recommend our True Elegance vacation package to guests who wish to indulge in a luxurious travel experience of Malta by traveling to Valletta, St. Julian’s and Gozo. 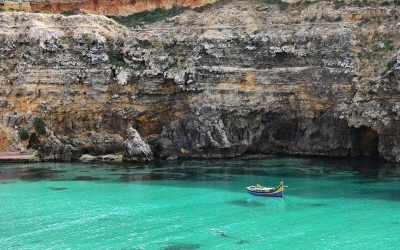 Explore the unique history, cultural heritage and natural beauty of the charming island of Malta. Enjoy your stay in luxurious and uniquely authentic boutique hotels, travel in style and discover this more traditional part of Europe while we ensure you feel pampered throughout your trip to Malta. Welcome to Valletta! Your True Trips travel expert has planned your stay at one of the city’s top luxury hotels. 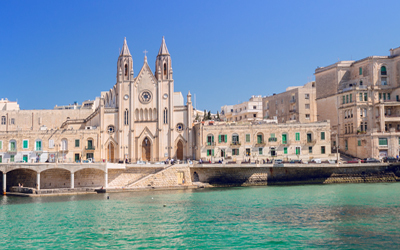 Once settled, venture out and discover Malta’s capital, a UNESCO World Heritage site. Enjoy a private guided True Trips tour and explore Valletta’s major attractions and landmarks. 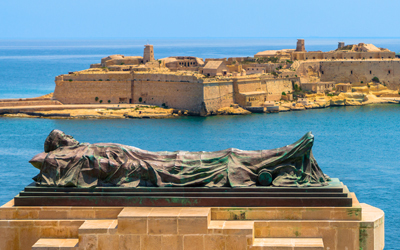 One of the most impressive historic landmarks that you’ll visit is St. John’s Co-Cathedral; not only is it Malta's most stunning church, it is also an impressive display of Baroque art, including Caravaggio’s famous painting of the ‘Beheading of St. John the Baptist’. Together with your local guide, stroll through Valletta’s buildings of historical importance, including Renzo Piano's magnificent new Parliament Building and Fort St. Elmo at the tip of Valletta's peninsula. Before leaving this impressive old city, be sure to visit Valletta’s Upper Barrakka Gardens offering breathtaking views over the Grand Harbor and the fortified Three Cities! Next you’re off to St Julian’s, once a small fishing port and now a major tourist resort. Make yourself comfortable at your luxury boutique hotel and then head out to uncover the attractions of this vibrant locale. Begin your exploration with a private guided True Trips tour and take a leisurely stroll through the charming and popular Spinola Bay, full of colorful fishing boats still used by local fishermen; it is the perfect spot to relax with a refreshing drink or enjoy an authentic Maltese meal. Visit Villa Spinola, a 17th century palace by Fra Paolo Rafel Spinola who was a knight of the Order of St. John; this impressive historic building is surrounded by a walled garden and notable Baroque architecture. Bring your stay in St. Julian to an end with a visit to the small sandy beach at St. George’s Bay – a true local gem! The final destination of your True Elegance trip is Gozo – the beautiful island of the Maltese archipelago with its hilly landscape and picturesque countryside. Immerse yourself in the rich culture and heritage of this relaxing destination, and discover its historic attractions. Together with your private True Trips guide, explore the Ggantija temples – the extraordinary megalithic temples found on the Maltese islands dating from 3600 to 3200 BC. Discover the Citadel in Victoria and admire the 17th century architecture including cathedral and churches. Gozo is also famous for its spectacular coastline and particularly for its diving activities; it is considered to be one of the top diving destinations in the Mediterranean. Before leaving Gozo, enjoy a visit to Ta’ Dbiegi Crafts Village where you’ll be able to see local artisans create pottery, leather craft, jewelry and blown glass. End your True Elegance experience with a delicious meal at one of True Trips’ recommended local restaurants.